Mark Anthony Lord is an internationally acknowledged gay spiritual leader dedicated to healing the world of homophobia. He is the creator of GAY Affirmations, a free weekly message that reveals truth and perfection within GLBT people everywhere. 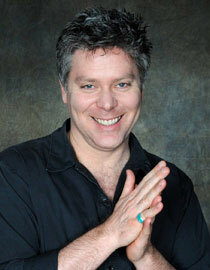 A gifted and dynamic speaker, he offers fresh perspectives on sacred wisdom teachings. Using humor, current events, and personal examples, his messages make known the presence of God in every area of life. His training is based in New Thought/Ancient Wisdom philosophies. He was first licensed at Unity School of Christianity. As a student of Dr. Michael Bernard Beckwith, he later received his Masters in Religion & Consciousness studies at Agape International Spiritual Center. His message of inspiration has been published in Science of Mind magazine, the Chicago Tribune, andConscious Choice magazine, to list a few. He has been a featured guest on Chicago and Milwaukee television talk shows and multiple national webcasts. He is the author of The Seven Living Words – An Illuminated Perspective on the Seven Last Words of Jesus. Soon to be published is his second book, Scared Boy, Sacred Man – an intimate look at his journey from shame to self-acceptance and revelation of Oneness with God. Click below to listen live with questions and comments or listen to anytime! « GEOFF LAYNG, back by popular demand!